In 1987 the partnership between the Abbott brothers and Saab GB began with a Classic 900 Turbo 8-Valve, built for the Mobil1 Saab Turbo Challenge. 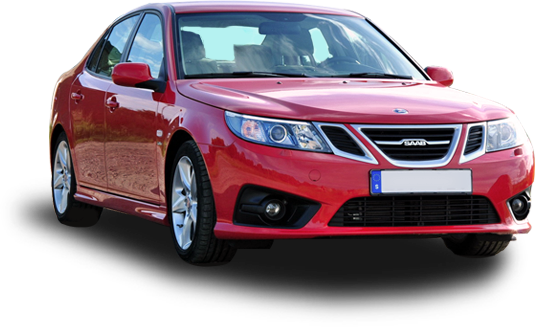 This model provided a basic understanding of the fundamental concepts that make a Saab. The first car was so successful that in 1988 a second Classic 900 Turbo was built and raced, and as with its predecessor it proved very successful. This was the car that placed the essential Saab elements in the hearts of those at Abbott Racing Motorsport. 1989 saw the debut of the Saab 9000 on the race circuits of Europe. At this time racing a high-powered front wheel drive car was considered crazy! However, with 260 BHP and a well developed chassis, the 9000 caused more than a few raised eyebrows as it began to score wins in the Production Car Championships. When the car won the championship in its first year, people started to take competition Saabs seriously. Despite the supposed technical disadvantages of front wheel drive, the two 9000’s scored many race and championship wins, both in 2.0 and 2.3 guise. These are still among the most successful racing Saabs. The 1992 season marked the arrival of the new 9000 CS model. Immediately the car showed staggering form on the race track, winning almost every race against considerably more powerful cars, almost all of which were considered to be technically superior in their weight and drive configuration. Following in the footsteps of the two 9000s before it, the 9000 CS 2.3 was so successful that it won the 1992 UK Production Car Championship in its first year of racing and later went on to win the famous Willhire 24 hour endurance race at the Snetterton circuit. In 1994 the new General Motors funded Saab 900 was given its track debut, just as with the Classic 900, 9000’s and the 9000 CS, this was thanks to Abbott Racing Motorsport. Continuing the tradition, the 1994 900 2.0 Turbo racer won its championship in the first year, just as the cars before it. In 1996 a speedy 2.0 Normally Aspirated engine development project, spearheaded by our new on-site dynamometer installation, led to a major rebuild of the car with a totally new engine configuration and engine management system. Following this development the car went on to win the last two races of the season. 1997 season saw another new Saab making its track debut, once again thanks to Abbott Racing. This time it was the turn of the normally aspirated 2.0 9-3, built to race in the United Kingdom National Saloon Car Cup. When it comes to circuit racing, no one in the world, including the Saab factory teams can match the technical knowledge of Abbott Racing Motorsport. It is this Motorsport grounding that we call upon to develop Saabs into the ultimate road cars.